I could hardly believe what I was hearing. 4 simple words managed to leave me more speechless than I had ever been in my entire life. After exhausting what seemed like every resource….after spending hundreds of hours experimenting with physical therapy, acupunture, yoga, supplements, RICE, diet, and countless other remedies….after subjecting myself to multiple doctors, x-rays, MRIs, talk of surgery and medical mumbo jumbo….after spending years in constant pain that started at the base of my spine and shot straight down the back of my legs, these 4 words hit me harder than I’ve ever been hit before, either physically or emotionally. This is the advice that was given to me by my doctor with regards to my back pain. And with this blog, I’m promptly extending a middle finger to the doctor that gave me this advice. I refuse to believe that my running days are behind me. In fact, since the day I was given this advice, I have run 2 marathons (with a 3rd happening in 2 weeks), not to mention the countless half marathons, 10ks, and 5ks that have filled my weekends over the past several years. One of my favorite quotes is from the book Born To Run. “You don’t stop running because you get old. You get old because you stop running”. 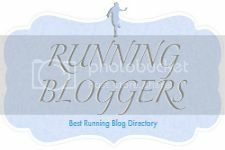 I’m creating this blog because I refuse to live my life living in fear of running. I CAN’T live my life that way, and I am creating this blog because I want to wake up everyday reminded of what my doctor said as I push the limits of what my body can and cannot do. Some people might object to my rejection of what may seem like sound medical “wisdom”. I don’t really care. Until the day comes that I can no longer walk and get out of bed, I am going to push myself to do things that seem unrealistic and out of reach. I am making it my personal mantra to not only reject these words of wisdom, but use them to motivate me in ways my doctor never though possible. Not only am I going to run….I’m going to run longer, harder, and faster than I have at any point since my cross-country days back at Notre Dame High School in Sherman Oaks. These words will stick with me for the rest of my life, but not in the way they were intended.